With the recent… you know, success doesn’t feel like the right word. Let’s start over. 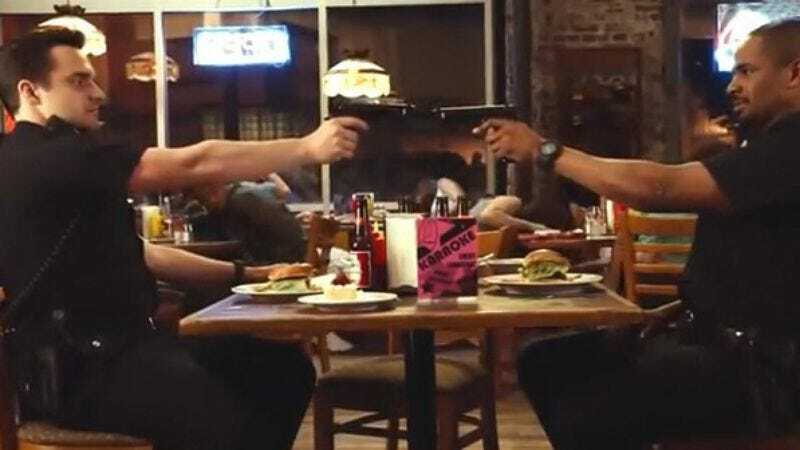 With the recent existence of Let’s Be Cops, that movie’s co-writer (Nick Thomas) and co-star (Jake Johnson) are developing a comedy series for Fox along similar lines, alongside Johnson’s producing partner, frequent New Girl director, and Fonzie offspring Max Winkler. Entitled 100 Grand, the show also focuses on a pair of immature male friends, who bond and presumably learn valuable life lessons while getting on the bad side of the law. Except this time, the duo in question find themselves in debt to a local mob boss, in an amount between $90,000 and $110,000 (we actually don’t have an exact figure as of press time), and spend the duration of the series paying him back. Presumably if the show is a hit, paying off that last $200 will take the entire seventh and eighth season, as the show stretches its premise as thin as possible. The show is being described by its producers as “an adrenaline-packed comedy”—which isn’t the usual adjective one would use for a comedy, but who knows. Maybe somewhere right now Jason Statham is developing a “side-splitting” car chase movie.